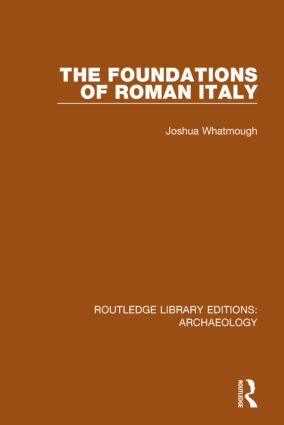 This book presents a picture of pre-Roman Italy as complete and as faithful as modern discovery could make it, when it was originally published in 1937. The evidence of archaeology is combined with the testimony of historical tradition and non-Latin dialects in a balanced account of elements no less diverse than those of modern Europe. This description of Italy in the middle of the last millennium B.C. illuminates the success of Rome in achieving a united Italy, where others had failed – an achievement which paved the way for the course over of events over centuries. Originally published 1937.